Right from the beginning more than twenty years ago, Egschiglen set the focus of their artistic work on contemporary music. They explored the sound dimensions of works by contemporary Mongolian composers with their fine-tuned arrangements and using traditional instruments from Mongolia and Central Asian vocal techniques. Some of their pieces have chamber-music quality with filigree and transparent sounds, others convince with the original enchanting power of Mongolian folk traditions, taking us from the sound of the Mongolian horses’ hooves to the clear silence of the Gobi desert. But their music is characterized also by its deeply natural, compelling force. In Egschiglen’s performances, tunes from shamanist or Buddhist tradition, which are common in Central Asia, impress through their diversity of expression and intricate arrangements. In their own unique, distinctive way, the musicians breathe new life into them, thus rapturing audiences all over the world. The musicians are also balancing between diverse cultures: in the course of the years, Egschiglen participated in a number of cooperation projects with musicians from various cultural areas. 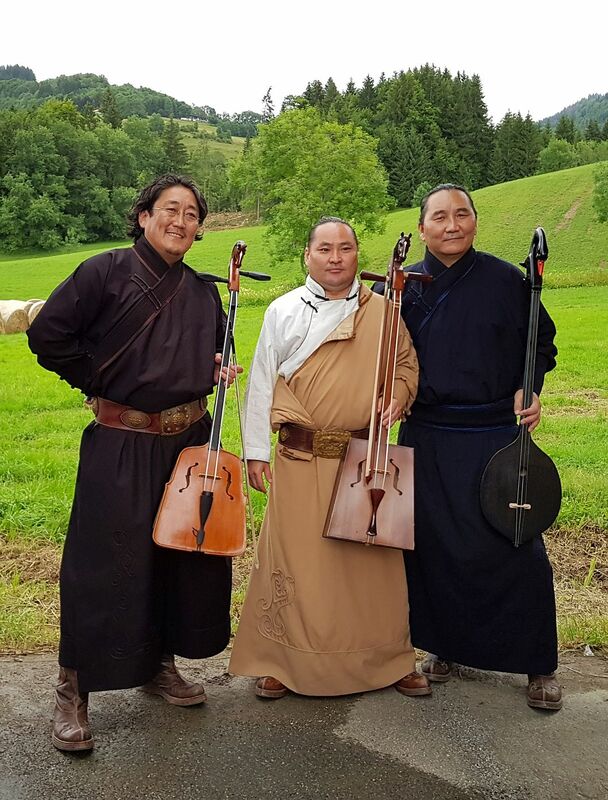 Furthermore, they present the latest finds from their adopted home, Franconia: traditional song material from the Altmühl valley, re-arranged as a Mongolian khoomii / morin khuur crossover!